Dipak Das, however, is not one of those drivers. 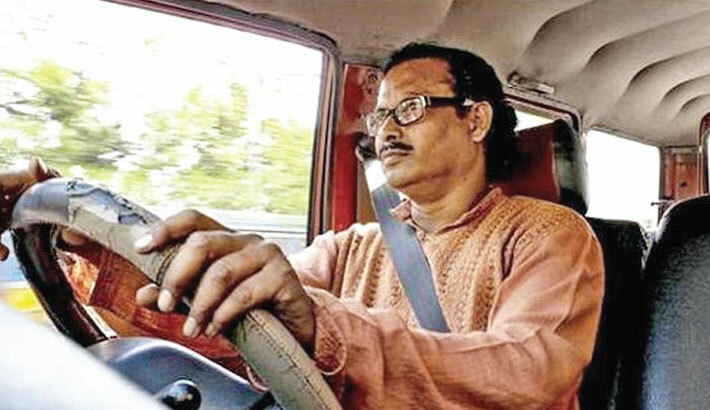 He has worked as a chauffeur for many Indian celebrities, such as table maestro Pandit Tanmoy Bose, and guitarist Kunal, among others, and they have all praised his efforts to reduce noise pollution. The organisers of Manush Mela (Humanity Fair) have verified his atypical driving etiquette, and have recently honoured him with the Manush Sanman award for his inspiring efforts. Das is a firm believer in a no-horn policy and hopes that his behavior will help inspire other drivers to use the horn less frequently. He hasn’t used the car honk in 18 years, and hopes others will follow his example. “I think if a driver follows this no-horn policy, he will become more alert while driving. If a driver has proper sense of space, speed, and timing, he or she need not use horn,” he said to Hindustan Times adding that when passengers ask him to use the horn, he politely declines and tells them that it isn’t a solution to the problem. His car carries a small placard featuring the saying, ‘Horn is a concept. I care for your heart’. Das, who maintains his firm no-honking policy even during long trips to Darjeeling or Sikkim, hopes that someday Kolkata will become a “no-honking city.” “It is not something that cannot be achieved or very difficult to achieve. What is required for this is administrative and political goodwill,” Das said. The Manush Mela honors citizens who are doing something unique and valuable for society. Sudipa Sarker, one of the 2017 organisers of the event, told Hindustan Times that Das was well known and appreciated by individuals and organisations for whom he had worked, making him a natural choice for the award.